You can ignore trading completely if you wanted to, however it is a handy tool to balance your economy. You can access trade from the city market building. The market can also be accessed through the resources HUD where you can see the best offers for each of the reasources at the moment. When buying resources you are always given the lowest buying price. On the left you see the current best offer for wood: Quantity of 650 000 at a price of 0.3 Gold per unit. You are also given the price for the full amount = 195 000 Gold. - On the right you can type in the quantity you want to buy and the price in gold will be calculated according to the price per unit. The selling process is pretty much the same. 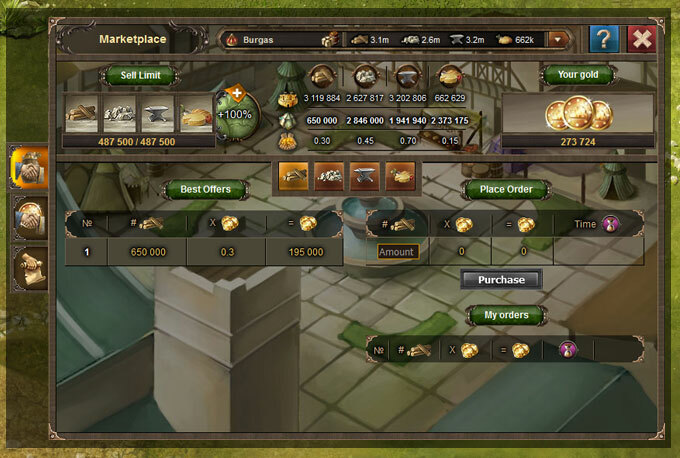 - Select the type and amount of resource you want to sell and set a price per unit in gold. !Note - There is a limit on how much you can sell. It could an amount that is divided in several deals or the full amount. 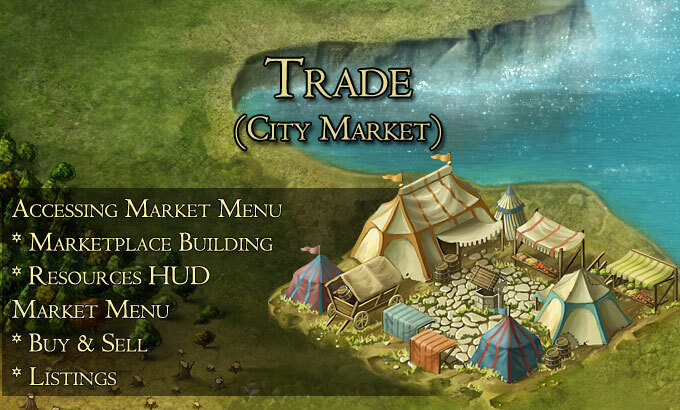 You can increase the amounts that you are allowed to sell by upgrading the city market up to level 8. You can view current deals for bought and sold resources.